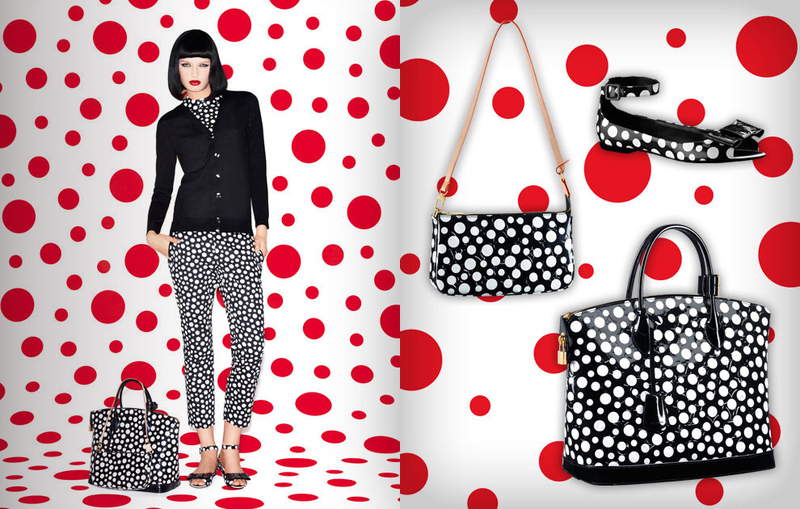 Yayoi Kusama = The queen of polka dots. 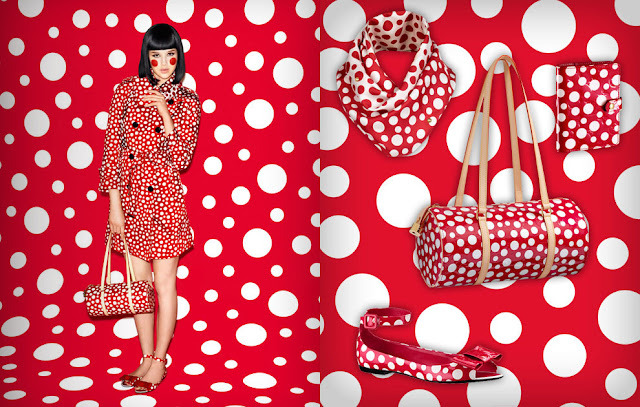 "Yayoi Kusama spreads her polka dots infinitely across the world. 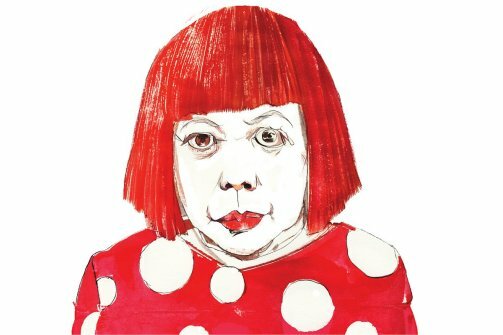 The artist sees her life as 'a dot among millions of other dots'." 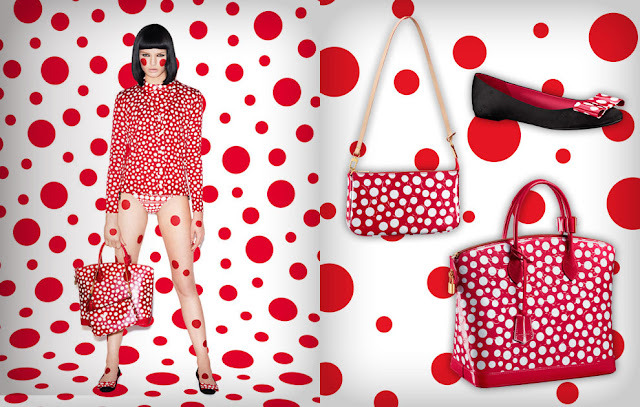 When I first found out that there was a collaboration with Kusama and Louis Vuitton, I was in ecstasy. I know that I am delayed on the entire discovery but the collection is spectacular as "Japanese artist Yayoi Kusama injects colors and polka dot patterns infinitely into Marc Jacobs' feminine silhouettes" and I thought it was the perfect opportunity to blog about it. The vibrant reds and yellows that are incorporated into the white and black creates a perfect canvas for these outstanding clothing/accessories that will possibly never go out of style because let's be honest, polka dots are a CLASSIC. My favourite items from this entire collection would have to be the shoes. 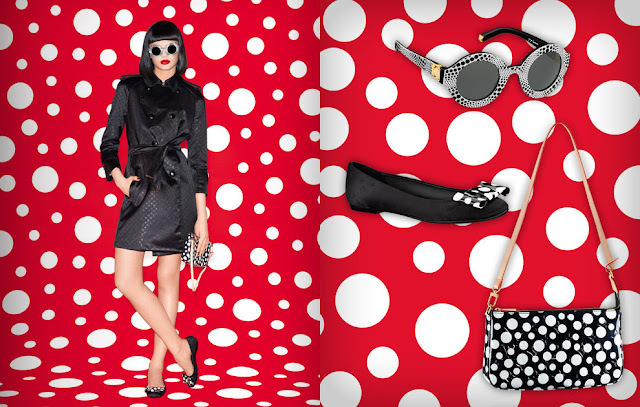 The patent bow incorporated alongside the polka dots is heart pleasing and an award winner for me. I would also like to thank Bip Ling for allowing me to come across this wonderful collection. If you do not know Bip, then you have not lived. 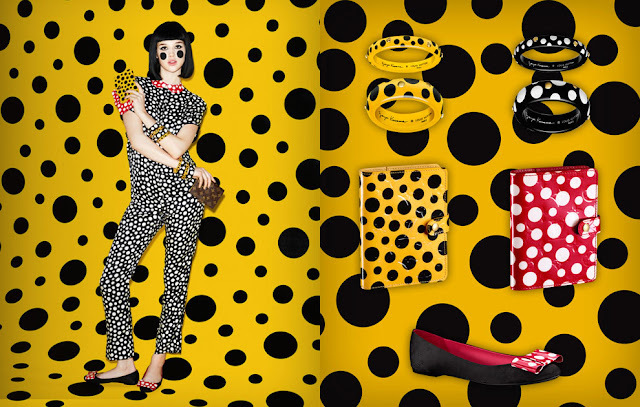 She is a fashion blogger and a style icon from the UK. She is also the star in the Louis Vuitton and Selfridges' short films "Spot the Difference" where the audience is invited to spot five differences between two films while Kusama's poem is being read out. Unfortunately, we do not have Selfridges in Australia but that didn't stop me from enjoying these clips as Bip just looked gorgeous and bubbly. I love your blog, it very interesting for me!